Bestman Games prepares to launch the first African city edition of the game Monopoly. Bestman Games said come December 11, 2012, the City of Lagos Edition of Monopoly will portray the strength of the city through one of the most famous board games in the world. With the support of the Lagos State Government, First Bank of Nigeria Plc, Guaranty Trust Bank Plc and other esteemed partners, the Monopoly board game plans to enhance the profile of Lagos and Nigeria. According to the company in a press statement, the game would present the mega city on the world stage in a fun and attractive way. Bestman also disclosed that the initiative would be a powerful tool for children as they can relate to the board game, adding that it captures familiar streets, neighbourhoods and leading brands, which other board games currently do not address. “Millions of Nigerians grew up playing the iconic board game. The images of Mr. 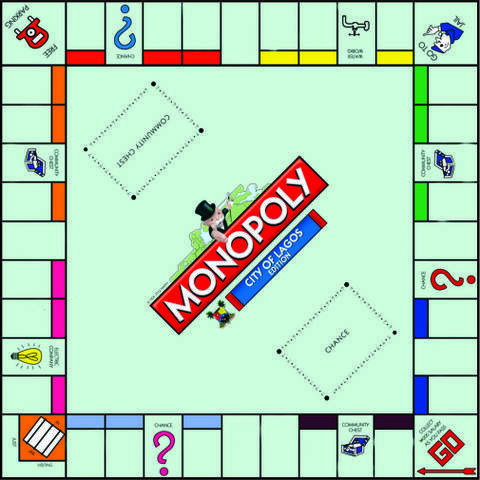 Monopoly, Advance to Go and the ‘Free Parking’ spaces are etched permanently in the hearts and minds of people across the country. “This is one of several reasons that the City of Lagos Edition has enjoyed the full endorsement of the Lagos State Government. There will be LASTMA fine on the "CHANCE" cards… Interesting game… welcome idea.